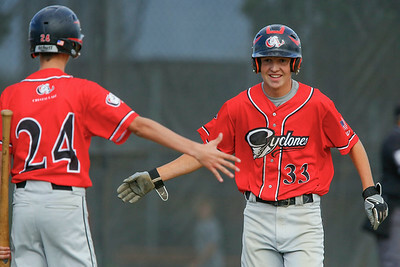 Daryl Quitalig - For Shaw Media Crystal Lake Cyclones' Jimmy DelVecchio (33) is greeted by Branden (cq) Hansen (24) after scoring a run in the first inning of a McHenry County Youth Sports Association 15-U division baseball tournament game against the Crystal Lake Cardinals at Lippold Park in Crystal Lake, Ill. on Sunday, July 27, 2014. 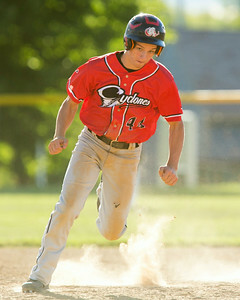 The Cyclones won 15-4, after five innings. Daryl Quitalig - For Shaw Media Crystal Lake Cyclones first baseman Scott Nygren (99) makes a catch, forcing Crystal Lake Cardinals' Eric Helm (18) out, during a McHenry County Youth Sports Association 15-U division baseball tournament game at Lippold Park in Crystal Lake, Ill. on Sunday, July 27, 2014. 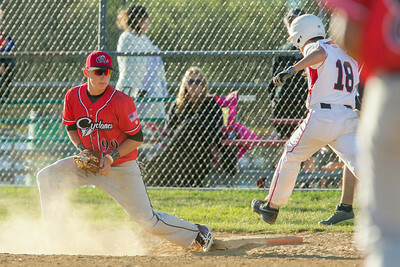 The Cyclones won 15-4, after five innings. Daryl Quitalig - For Shaw Media Crystal Lake Cyclones' Jonathan Harris (44) rounds second base off of a double hit by Josh Tuner during a McHenry County Youth Sports Association 15-U division baseball tournament game against the Crystal Lake Cardinals at Lippold Park in Crystal Lake, Ill. on Sunday, July 27, 2014. The Cyclones won 15-4, after five innings. 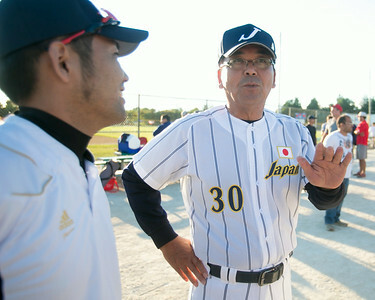 Daryl Quitalig - For Shaw Media Team Japan's manager Sadao Nakashiro (center) replies to a post-game question through interpreter Nasa Iida after a McHenry County Youth Sports Association 15-U division baseball tournament game at Lippold Park in Crystal Lake, Ill. on Sunday, July 27, 2014. 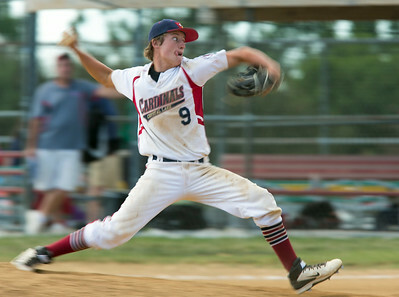 Daryl Quitalig - For Shaw Media Crystal Lake Cardinals' Michael Swiatly (9) delivers a pitch during a McHenry County Youth Sports Association 15-U division baseball tournament game against the Crystal Lake Cyclones at Lippold Park in Crystal Lake, Ill. on Sunday, July 27, 2014. The Cardinals lost to the Cyclones 15-4, after five innings. 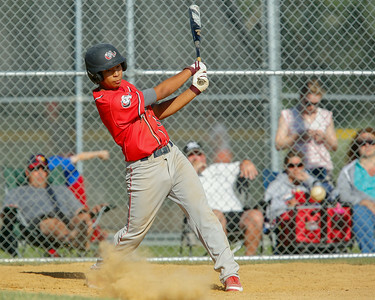 Daryl Quitalig - For Shaw Media Crystal Lake Cyclones' Gustavo Arellano (82) follows through after a hit during a McHenry County Youth Sports Association 15-U division baseball tournament game against the Crystal Lake Cardinals at Lippold Park in Crystal Lake, Ill. on Sunday, July 27, 2014. The Cyclones won 15-4, after five innings. 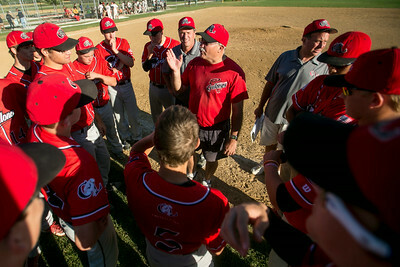 Daryl Quitalig - For Shaw Media Crystal Lake Cyclones' coach Dan Birr (center) speaks to his team after a 15-4 victory over the Crystal Lake Cardinals in a McHenry County Youth Sports Association 15-U division baseball tournament game at Lippold Park in Crystal Lake, Ill. on Sunday, July 27, 2014.